Open textbooks online that I can revise and remix? Online textbooks that anyone can read for free? Textbooks licensed by the library that are free for UCSC students to read? There is a growing body of high quality open textbooks available online that are licensed through Creative Commons or other open licenses to be 100% free to use, print, revise, or remix. Many of these textbooks are peer reviewed. Many also provide additional instructor resources (PowerPoint slides, additional test questions, etc.) You just have to check a few sites to see what’s available. 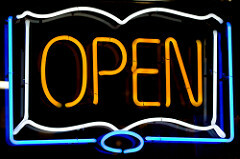 Open Textbook Library via University of Minnesota & the Open Textbook Network. All of these textbooks are offered through a Creative Commons license and are free to use and download. All textbooks are either used at multiple higher education institutions; or affiliated with an institution, scholarly society, or professional organization. OpenStax via Rice University. Since 2012, OpenStax has saved students $155 million and counting by offering free, peer-reviewed textbooks for the highest-enrollment college courses. Each book is supported by instructor resources, and a low cost print version of each title is also available for those who prefer print. Open SUNY Textbooks via State University of New York. These books are written and peer-reviewed by faculty and use a Creative Commons license. MERLOT II by California State University. A catalog of open textbooks and other open educational materials (OERs) from various sources. To find college textbooks, limit the material type to "Open (Access) Textbook" and choose one of the college audience options. OER Commons Textbook Hub. This portion of the OER Commons is a curated collection of Open Textbooks and supplementary resources to help leverage Open Educational Resources (OERs) in your classroom. Not finding the books you want? Or are you looking for other formats (e.g., simulations, audio, or video) offered with open licenses? Try the Mason OER Metafinder (MOM). MOM performs a simultaneous search across 18 different sources of open educational materials including textbooks and other formats. Open Access books are free to read online, but are not free to revise or remix. Sometimes printing and downloading are also limited. Directory of Open Access Books. This directory includes peer-reviewed books published under open access licenses by many academic publishers. Open Book Publishers (OBP). The UCSC library pays to support this publisher which is a Social Enterprise in the UK run by scholars who are committed to making high-quality research available to readers around the world. 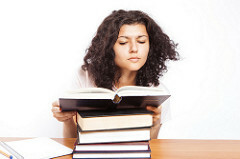 OBP publishes books and textbooks in all subject areas that are free to read online. Luminos. This is the University of California Press’ new Open Access publishing program for monographs. Luminos books have the same high standards for selection, peer review, production and marketing as the books published by UC Press' traditional program. Unfortunately, not every e-book is available with a library license/purchase option, or a DRM-free option. Contact your librarian to find out if your textbook has an appropriate e-book option that the library could purchase for your class. We are happy to explore the different e-book options with you. Open Educational Resources (sometimes called "OERs") include open e-textbooks that are licensed in a manner that makes them not only free to read but also gives you the right to print or download them in their entirety, share them with others, revise them, and remix them (combine them with other content). Contact us for help finding high quality, peer reviewed, OER textbooks for your class. We can also check to see if your commercial textbook has an appropriate DRM-free e-book option that the library could license for your students.